Fiona Maye is a High Court judge in London presiding over cases in family court. 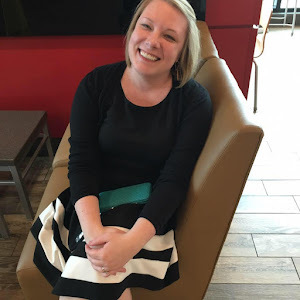 She is fiercely intelligent, well respected, and deeply immersed in the nuances of her particular field of law...But Fiona's professional success belies domestic strife. Her husband, Jack, asks her to consider an open marriage and, after an argument, moves out of their house. She decides to throw herself into her work, especially a complex case involving a seventeen-year-old boy whose parents will not permit a lifesaving blood transfusion because it conflicts with their beliefs as Jehovah's Witnesses. But Jack doesn't leave her thoughts, and the pressure to resolve the case—as well as her crumbling marriage—tests Fiona in ways that will keep readers thoroughly enthralled until the last stunning page. 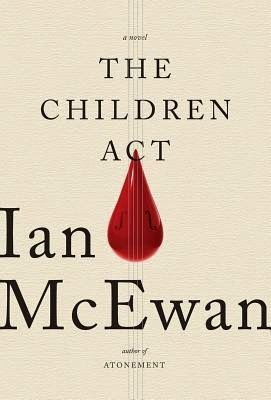 Well, we're talking about McEwan, so there's really no question here as to whether or not the writing will be superb, right? He lives up to his reputation once again in this book, with strong, dynamic characters and a plot that forces them to grow and change throughout the story. As with his other works, it's certainly character-driven, but he does an impeccable job of developing his characters and making them both believable and sympathetic, even in their faults. Not necessarily fast-paced, but definitely engrossing. It's short and the plot is compelling, but the real draw is in seeing how the characters evolve over the course of the story and in watching how their interactions with each other change the direction of lives. The moral dilemmas faced by the main character, both personally and professionally, are intriguing and captivating. I thoroughly enjoyed it. It's short and not necessarily a difficult read, but it's also not fast-paced. Nevertheless, I found myself unable to put it down, which is always a great quality to find in a book. It's also fairly short and won't require a huge time commitment from readers who may be on the fence about character-driven fiction. Not all friendships are meant to last forever. There can be so much good, so much power, so much love in female friendships. But there is also a dark side of pain and loss. And surrounding that dark side there is often silence. There is shame, the haunting feeling that the loss of a friendship is a reflection of our own worth and capacity to be loved. 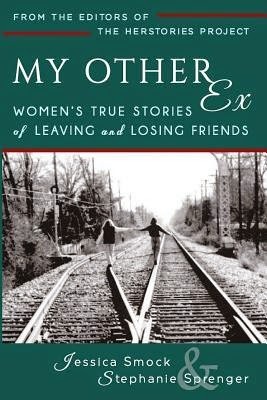 My Other Ex: Women's True Stories of Losing and Leaving Friends is a step toward breaking that silence. The brave writers in this engrossing, diverse collection of 35 essays tell their own unique stories of failed friendships and remind us of the universality of loss. As much as I enjoyed the content of this book, the essays are not all from professional authors and, in certain essays, it shows. That really didn't hurt my estimation of the book as a whole however, because I enjoyed reading what felt like the stories of everyday people, not essays crafted as works of literature. There was something genuine about reading a less-than-perfectly-written essay when describing a personal story. The great thing about having a sister is that not only is she stuck with you forever, but she can also tell you the truth with an honesty (and bluntness) that a friend might hesitate to give. My sister was kind enough to tell me that my interest in end of friendship stories is "weird" and "creepy" and "twisted". But I can't help it. I love to hear women tell stories about friendship that just didn't work out. I don't know what it is about them that just captivates me, but I love reading them. This is the second book I read this year featuring essays about the end of friendships and I loved it just as much as the first. If you're intrigued by other people's drama, this is a great book for you to read. It's also good for those who have lost a friendship or those who have a more academic sociological interest in how female friendships work and then stop working. Or you can just tell yourself it's academic when really you just like hearing the juicy details. My interest is purely academic of course. My Other Ex is on my list for 2015. Broken friendships are so hard and men just don't get it. LOL! I've had to let a couple of friends go this year. While I wish them the best, it was time to move on. It really is like grieving a romance because you invested so much time as friends, and of course, there were lots of good times in the past. I'm looking forward to this book.